It was the medieval deal between a king and his subjects as a reward for shielding him during his days as an outlaw. Although this tale may sound like one of legend, the Stocket charter has had a lasting impact on Aberdonians benefitting thousands of residents. And next year council chiefs plan to hold a party to mark 700 years of the agreement between King Robert the Bruce and his loyal subjects in the Granite City. Perhaps the most lasting legacy of the charter is the city’s Common Good Fund which is used for a number of charitable causes every year. It was created as a result of Robert the Bruce granting the Great Charter in 1319, after residents sheltered him during his days of being an outlaw from the English. He gave Aberdeen the Forest of Stocket, now the Midstocket area of the city, in return for a yearly rent. As a result of the finances generated from the forest, the Common Good Fund was created to benefit the people of the city. The fund helped to create Marischal College and helped citizens during the 1640 plague. Other recognised Aberdeen institutions also benefitted from the funds, and cash was also given to the Aberdeen Art Gallery, the Central Library, Aberdeen Royal Infirmary and the purchase of Hazlehead Park. Now, if a council motion is passed, a special party will be held at the town house next year to celebrate its 700th anniversary with citizens from all 13 wards in Aberdeen invited. 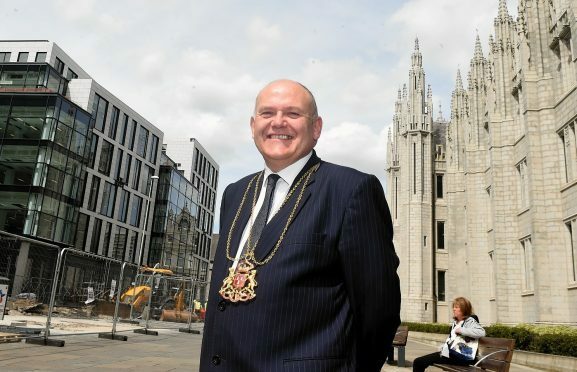 Aberdeen Lord Provost Barney Crockett said that despite the high profile nature of the historical agreement that it would have made little instant difference to the average Aberdonian at the time. He said: “For most people then their whole lives were taken up just with the business of survival. Royal agreements wouldn’t have made much of an impact to the average citizen. “However with the benefit of looking back it was a really momentous moment in the history of Aberdeen. “The treaty eventually brought about prosperity to the city and was the basis of our Common Goods Fund.